We love to talk about the wins and the successes in business… celebrating those moments make us happier people and lift our businesses at the same time. But behind the success stories are also the obstacles EVERY business owner faces along the way. So today, we’re showing you how your obstacles can be the biggest growth accelerators if you let them. When we are faced with a challenge we have the choice to face it, rise up and learn. We will dig into how to go from Obstacles to opportunities. Our panelists will share, from their experience, how the less than perfect aspects of business ownership have helped them propel their businesses to the next level. 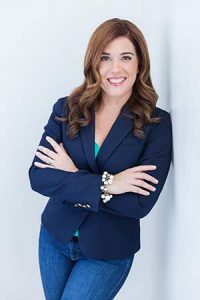 After 20 years in the corporate sector, Veronica launched Cool & Associates, a management consulting firm to bridge the mainstream world to the Hispanic segment in the United States. Specializing in an integrated model providing solutions including marketing, workforce development and training. She has blended her financial expertise and operational experience with her nonprofit activities to drive engagement and growth. 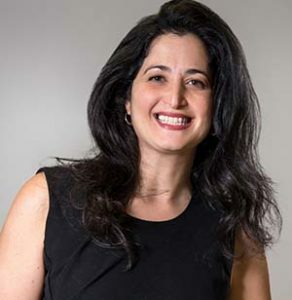 Her expertise includes commercial banking, lending, financial analysis and sales management, working with Wells Fargo and Bank of America, and leading and operating the state-wide Maryland Hispanic Chamber of Commerce. Veronica has presented internationally in various conferences addressing topics such as Hispanic Engagement, Diverse Segment Marketing, Minority/WBE, Entrepreneurship, Financial Literacy, Access to Capital and Women in Business and Leadership. She is a columnist for Huffington Post, The Daily Record and Mundo Latino. She holds a BS from Kutztown University in Business Administration, and a Master’s of Science in Finance from Loyola University of MD. A native of Dominican Republic, she is the Past Board Chairman of the MD Hispanic Chamber of Commerce and co-chair of Martin O’Malley’s gubernatorial transition steering committee focusing on MBE and Small Business. Cool currently serves on the boards of Open Society Institute, Alliance for Hispanic Commercial Contractors, Life Lens and is a proud member of the Hispanic Leaders Association, Latino Providers Network, Latinas Think Big and SHIFT. Living northwest of Baltimore, Maryland, she is married to Mr. Cool and is happily overwhelmed by her 17-year-old fashionista black-belt diva and 15-year-old athletic jokester. Rebecca Teaff is a creative entrepreneur, problem solver and dreamer. Rebecca is the owner and founder of Redstart Creative. Redstart Creative is a branding and digital marketing company building and supporting brands for women owned small businesses and non-profits in the educational, environmental and family support space. Redstart Creative helps those driving positive change in the world i.e., people who make good things happen tell their stories in both print and digital. Redstart works with clients empowering positive change in the world – those striving for social impact and equity. Rebecca has a passion for helping change-makers that matches her passion for running a business. 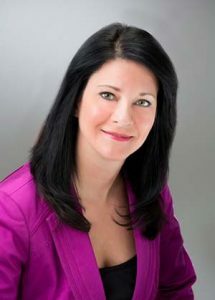 Over the past ten years Rebecca has been involved in multiple volunteer roles including – Marketing Chair for the Association of Fundraising Professionals Maryland Chapter and National Association of Women Business Owners – Baltimore Chapter, as well as receiving Maryland’s Top 100 Women Award in 2014 and 2018. 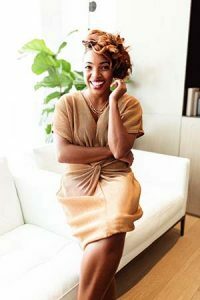 Recognized as one of Baltimore’s Top 40 under 40, Dr. Tammira Lucas is an award-winning thought leader, Author, Speaker, and Philanthropist in the areas of entrepreneurship, social innovation, and economic development. She is currently the executive director of The Warnock Foundation where she implements strategies, programming, and investments into Baltimore’s innovators and communities. Dr. Lucas is also a professor in the College of Business at Coppin State University. With over 14 years of experience and research in business and social innovation, Dr. Lucas has dedicated her life and work on building communities through leadership, innovation, and entrepreneurship. Dr. Tammira Lucas is the co-founder of Moms As Entrepreneurs and Co-Founder of The Cube Cowork. Dr. Lucas holds a Bachelor of Science in Management Science from Coppin State University, Masters of Business Administration from Strayer University and a Doctorate of Business Administration from Walden University. 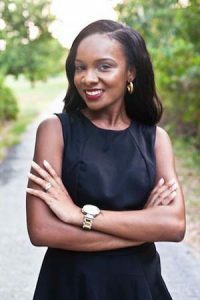 Natalie is the founder and CEO of Maryland Teacher Tutors, a private tutoring company that hires certified teachers to provide in-home academic support to K-12 students. Prior to founding MTT, Natalie served as a reading specialist for Baltimore City Schools. While working with small student groups, she recognized the transformational value of one-on-one instruction in helping students reach their academic potential. In fact, it was during this season of teaching that Natalie’s students advanced more than 2.5 grade levels over the course of just one semester! Intrigued by these significant academic gains, Natalie knew there was life-changing potential in the one-on-one model, but felt that this support was lacking for students in Maryland and beyond. Determined to work toward a solution, Natalie founded Maryland Teacher Tutors in 2015 and now has more than 35 certified teachers working under her leadership. Beyond work, Natalie can be found spending time with her husband and two teenage children, kickboxing, and learning all she can from people with more wisdom and life experience. Gina Ramsey is the President of Pink Dog Digital. She has been involved in digital media since 2006. Her role allows her to help businesses grow through their digital footprint. Her services include website development, search engine optimization, content creation, social media management and consulting and digital ad campaigns. Gina is a two-time Maryland Top 100 Women, BRAVA, Executive Management Award and most recently Women of Influence winner. Additionally, Gina gives back to the community by serving on the Board of Directors for There Goes My Hero, The Girl Scouts of Central Maryland and the Maryland Small Business Development Financing Authority. Gina also co-chairs Women In Business and the Executive Forum at The Center Club. Mom of three fur babies and step mom of three, Gina enjoys spending time with her husband Brian and friends and family.